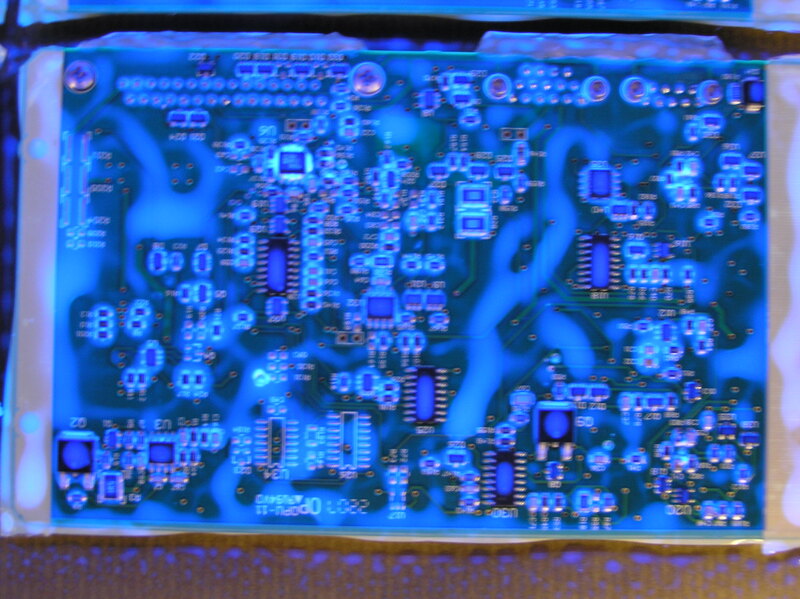 What is conformal coating de-wetting and why does it occur? De-wetting is where the conformal coating material is applied to a printed circuit board evenly but the coating refuse to stick to the surface that it has been applied to. Silicone oil from adhesives in production. Click de-wetting conformal coating failure mechanism technical bulletin for further information and solutions on how to solve the problems. Why do circuit boards fail due to poor conformal coating application? When considering the long term reliability of Printed circuit boards (PCBs), it is important to understand that they can fail due to being exposed to harsh or extreme environments such as airborne contamination, salt spray, moisture, fungus, dust and corrosion. By definition conformal coating is a protective non conductive dielectric layer that is applied onto the printed circuit board assembly to protect the electronic assembly from this damage. The coating when applied well gives added protection. So, if the conformal coating is poorly applied to the PCB then the circuit board is more likely to fail in the long-term. Looking specifically at the application of the coating there are several defects that can occur during processing that can fundamentally impair the performance of the conformal coating. This can lead to reduced long-term reliability of the PCB. These defects can include Capillary Flow, De-wetting, De-lamination, Cracking, Orange Peel, Pin holes, Bubbles & Foam. Logically, it is wise to avoid these effects in the process which can potentially improve the lifetime of the circuit board and limit problems in the field. How do I measure the surface energy of the printed circuit board to check if I have an adhesion problem with the conformal coating? ensure that the the surface energy of the substrate is above that of the conformal coating material to be applied. Surface energy is measured in mN/m or Dynes. There are a few ways to determine surface energy and these include measuring the contact angle or by the use of Surface Energy Test Pens (Dyne level testing). The latter is a simple test and easy to do with the right set of Dyne Pens (which are also referred to as Corona Pens). 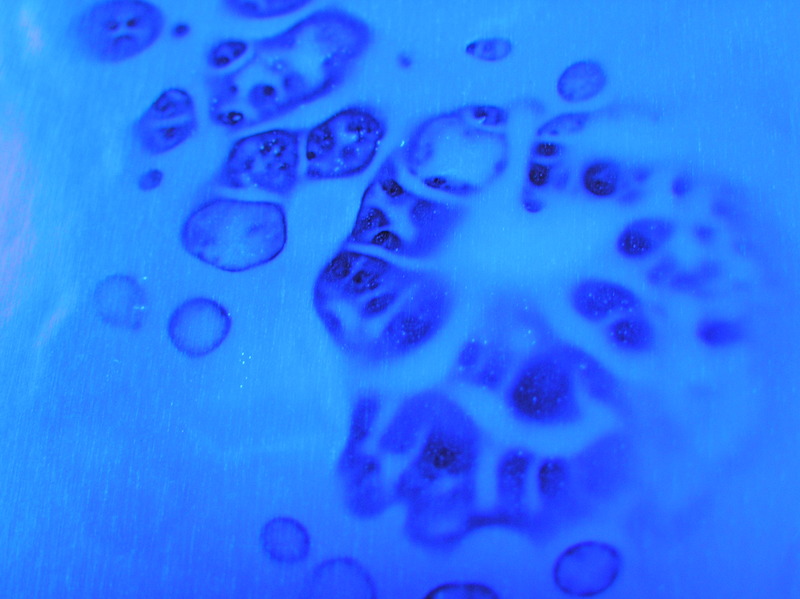 What is de-wetting and why does it occur in my conformal coating process? De-wetting is the tendency of the conformal coating material to refuse to wet the surface of the printed circuit boards and components that it has been applied to evenly. 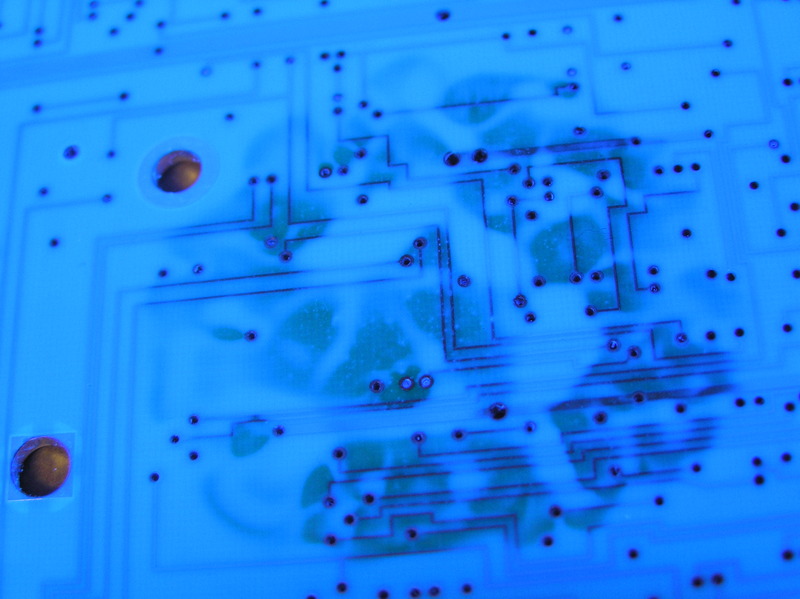 To learn more click Conformal Coating failure mechanisms_de-wetting to find out more.